There is a post going around Facebook at the moment which is having a cheap shot at kids who are protesting climate change. Each time I see it, I can’t help but laugh. As a line of argument it is so weak. There’s just enough smattering of truth to make it resonate, but if you think about carefully, it is pointing the finger squarely at the parents. Good start, except it is misleading. There is nothing sincere in this post. This is aimed squarely at the older generation who are sick of the youth of today for whatever reason. True, except technically you are the first generation that had parents demand that every classroom be air-conditioned. It wasn’t a 5 year old standing at the front door saying “I’m not going in there unless it is air-conditioned”. It was the P+C saying “it is criminal that these classrooms are reaching 40° in summer”. I remember the fund raisers to get air-conditioning into our local primary school, and it wasn’t the kids that were demanding it. Your parents put a TV in every room so you could be entertained from 3 weeks old upwards. You probably have seen more of “The Wiggles” in your first year of life than a physical human being. Your classes are computerised because of cost saving measures. Also there is some push to say that unless everything is on a computer than it is out of date. It also appears that there is this fundamental belief that kids won’t have to memorise anything anymore because google has all the answers. Face it, formula are now provided in the HSC so kids don’t have to memorise it anymore. These are changes coming from the department of education. Your parents put iPads in the car so you wouldn’t annoy them on the way to the shops. Phones are allowed in cafes and restaurants so that parents can have a chat without being disturbed. Your parents are too afraid of paedophiles to let you walk or ride to school. And if they do let you walk to school, you will be the only one because all the other parents aren’t going to risk it. Which probably means that statistically, you are more likely to be picked up than 30 years ago. That’s probably because your parents feel guilty for both working and substitute time with gifts, and then wonder why you are always bored with the latest device after 3 weeks. And every Christmas or birthday there is that consumerism driven force that says you have to have something new, and it has to be bigger and better than last year. Dudley in Harry Potter wasn’t a joke from left field, he is a comment on how kids are being spoilt (literally). Says the person who is typing this in on a computer, while using Facebook to come to the conclusions they are making. Or they probably got them from TV. Or reading books at night, with the assistance of a light bulb. But chances are they don’t read books, and it was in their feed. And “Space Invaders” technically doesn’t count as an “electric device” because it didn’t fit in your pocket. As an insult, I really don’t get how this one will resonate. I can just imagine all the kids going “duh, yeh”. Furthermore, the people driving your protests are the same people who insist on artificially inflating the population growth through immigration, which increases the need for energy, manufacturing and transport. The more people we have, the more forest and bushland we clear and more of the environment is destroyed. Now this may have been a more sensible group of people to make all this accusations of hypocrisy at. Because it is the people organising these protests that are also expecting all of these things on the youth of today. But, no, this line of argument is thrown in here to somehow show how they have been duped. The only problem is that environmental protesters aren’t automatically pro-refugee protesters. And if you do want to throw into the mix any other protesters then why not include the pro-abortionists or the pro-lifers…except you can’t include both in your argument. How about this... Tell your teachers to switch off the air-con. Walk or ride to school. Switch off your devices and read a book. Make a sandwich instead of buying manufactured fast food. – ask the teacher to cut back on the airconditioning and heating. This could even be just adjusting the temperature by a couple of degrees to make it work less. – make a sandwich in the morning, and pocket the cash your parents are giving you. Start saving money. Once again this is another reference to the generation before. They are the educators and the ones who raised “princesses”, and are providing the inspiration. And they are the ones who are indulging. There does seem to be a huge amount of emotional energy being placed into these arguments, but maybe a bit more thought should have gone into it. 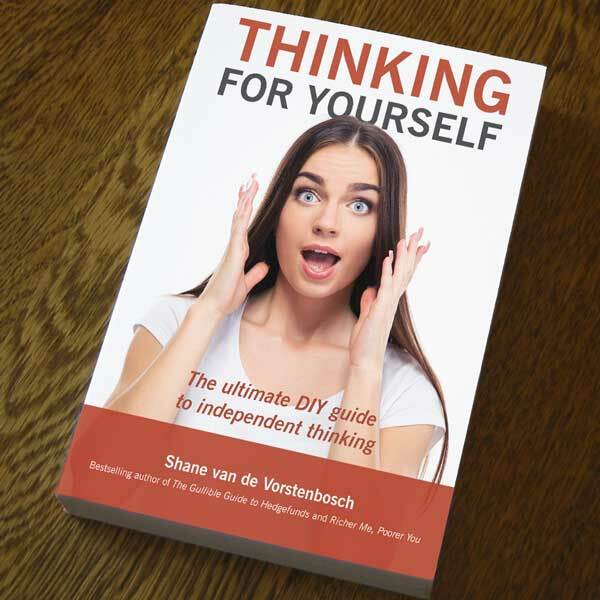 By “think for yourself” I think what you mean is “think like me”. Here I did “not blindly accept the words and thoughts of others” but actually applied my reasoning to it. Is this what you are calling these youth to do? Because if so, I think you are strengthening the case that they need to do something better than the generation before. But now that you mention "think for yourself"
I don't think you formulated this action plan all by your self - suspect you may have had some influence and 'guidance' from those you trust ....a word of warning, be cautious of the influence of the 'left' because there may be a time in the future that you will be the ones left out..
Of course they had help from others. But did the writer of this thing come to his conclusions by himself? Did he grow up in a vacuum with no influence from family, friends, teachers and others? But as for the kids, they may have even been inspired by others – people like Joan of Arc, Anne Frank, Louis Braille, Samantha Smith, and Claudette Colvin. Don’t kid yourself (no pun intended). Every generation looks at the situation they are in and blames the previous one and think they can do better. Look at the protestors of the 60s, 70s, 80s, 90s and 00s. And look at how the world is perfect now! I’m all for protesting great causes – and looking after the environment is one of the greatest. But put it into action in everyday life, and don’t leave it to the politicians to make the big decisions. And for the “adults”, this is just a reminder of the passion we had and how we wanted to inherit a better world than what we saw.